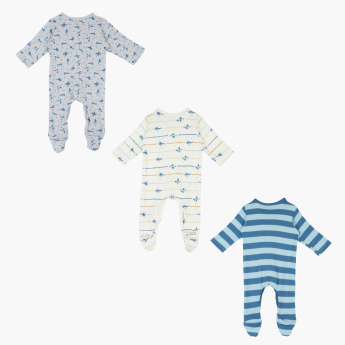 Make sure your little toddler has enough sleepsuits to wear during bedtime using this lovely set. Sure to look adorable, each of the three sport smart-looking prints or stripes. The material will keep your baby warm. 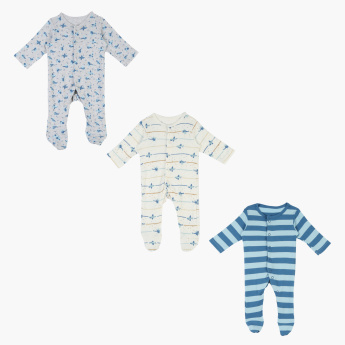 Features : This adorable three pack of pure Cotton sleepsuits come in three styles .snug fit with feet close and long sleeves.